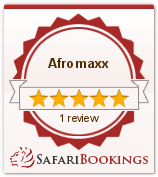 Contact Afromaxx – Travel Proposal! Please let us know how your trip should look. Whether trekking, safari, beach holiday or a combination of all, we would be happy to create a customized proposal for your vacation. Let us know through our contact your travel request, the intended travel time and the number of participants, you will receive your individual travel offer. We look forward to be able to meet you soon!